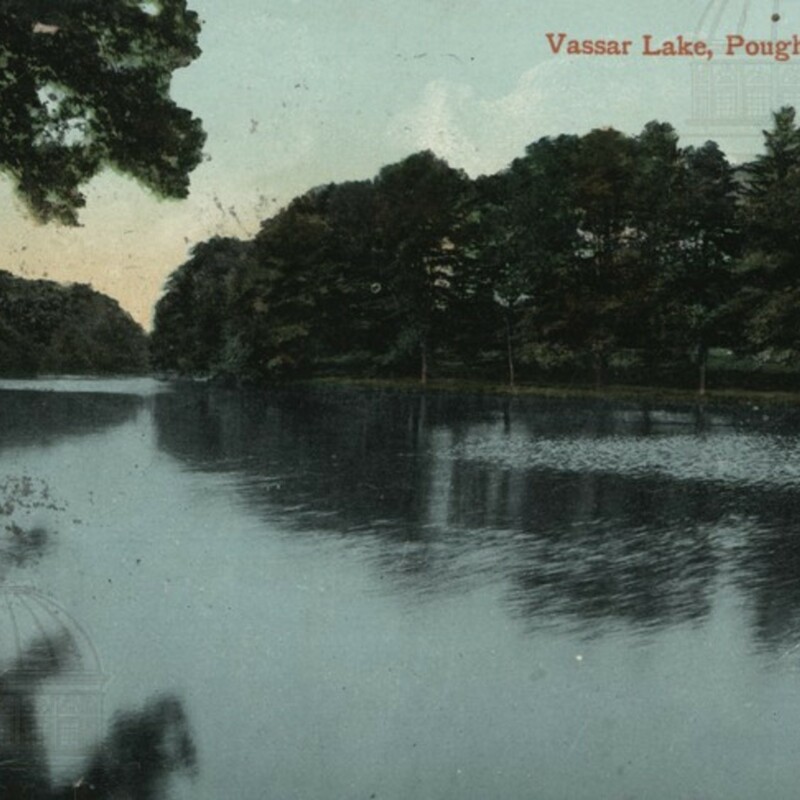 Color-tinted photograph of Vassar Lake, on the Vassar College campus in Poughkeepsie. 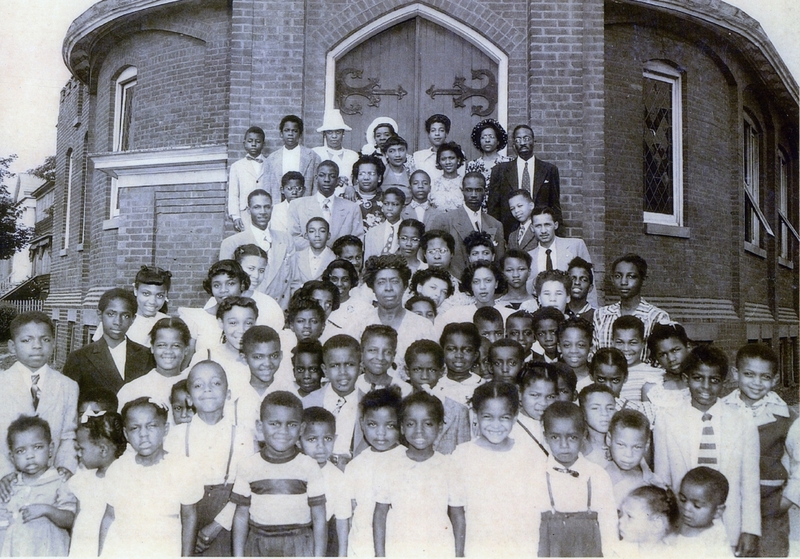 A group portrait of the Ebenezer Baptist Church Sunday school class, including members of the Douglas & Vaughn families. 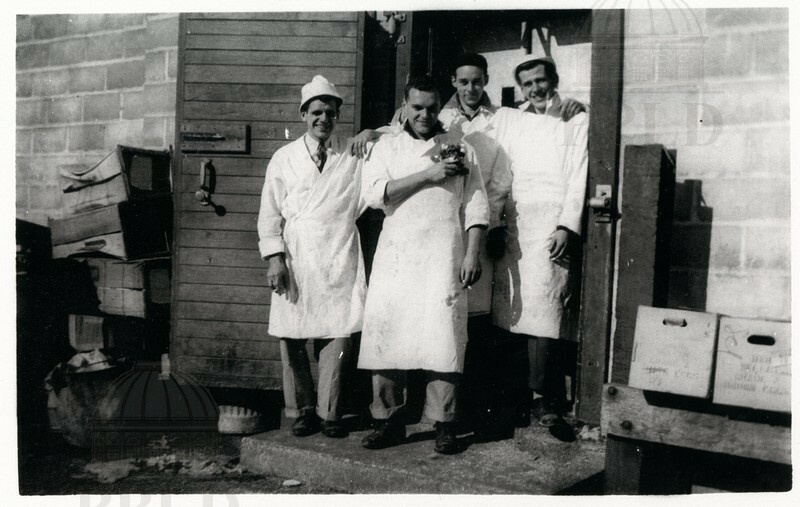 Group portrait of the meat department at the A & P Supermarket, located at 432 Main Street. 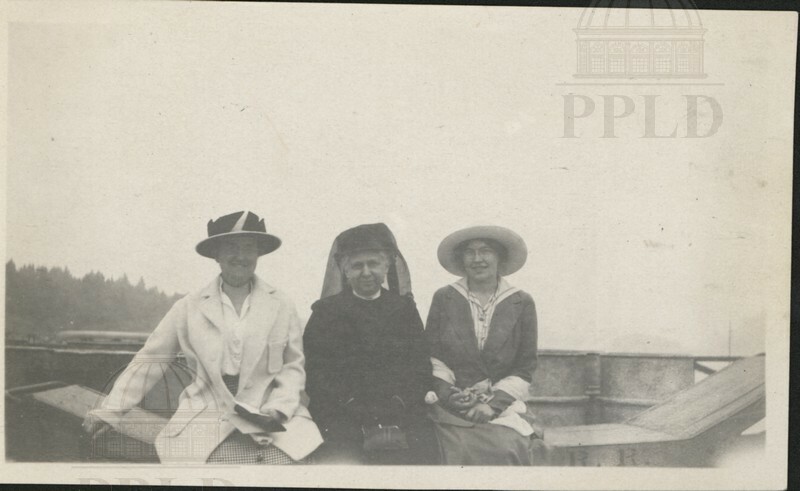 (l to r): Doug Cox (white hat), Richard W. Oestrike, Sr., Art Symington (dark hat), & Paul Cox (white hat). 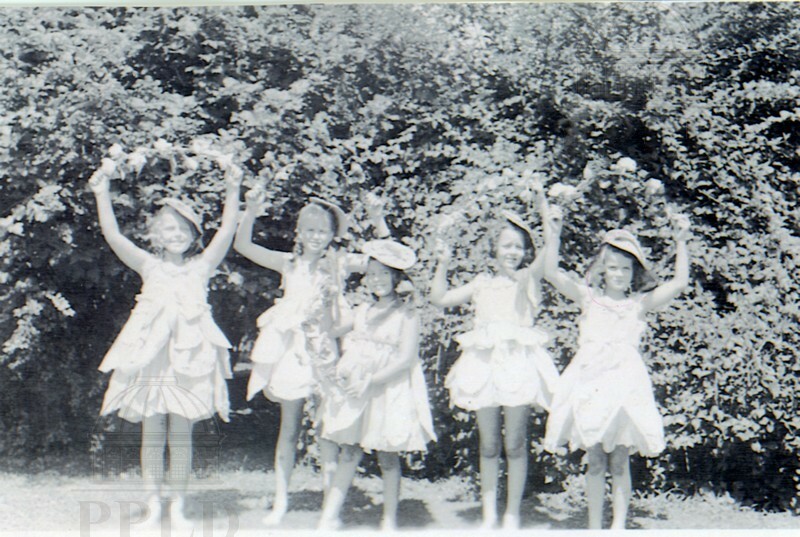 YWCA summer day camp participants (5 unidentified young girls) holding flower garlands. 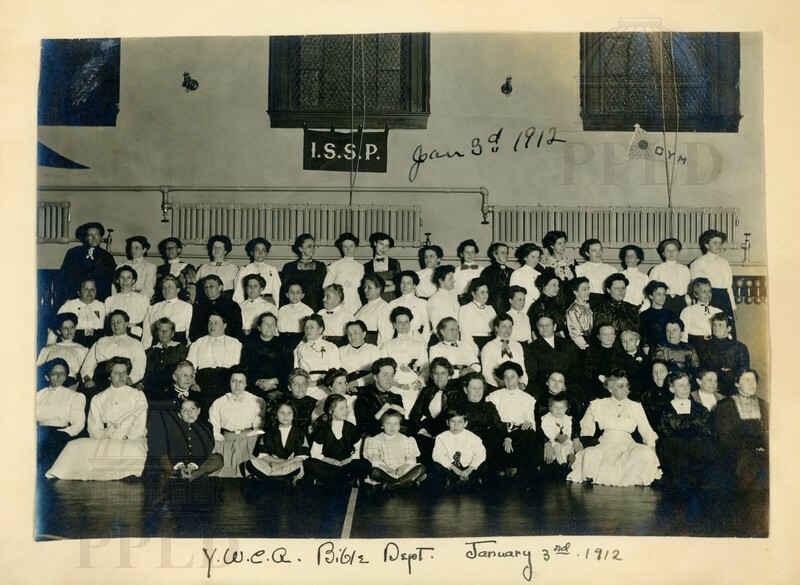 Group portrait in the Cannon Street gymnasium of the YWCA Bible Dept. 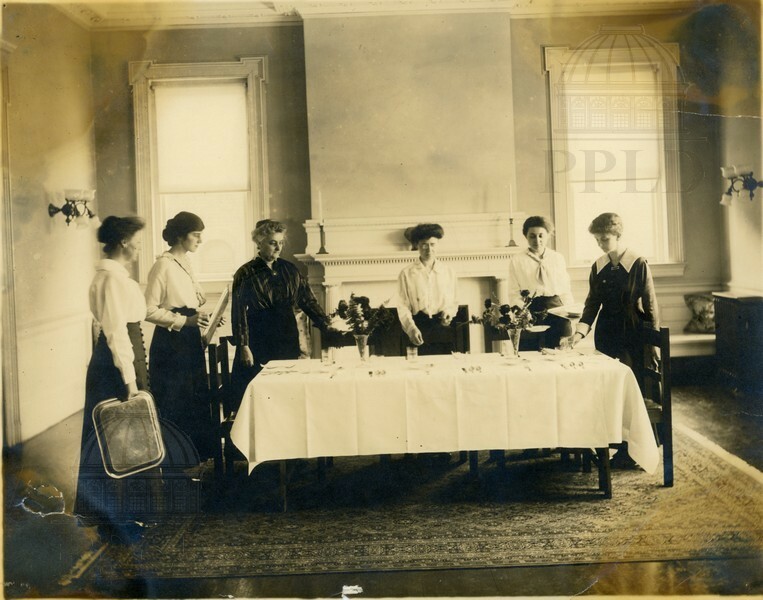 "Setting a Table l to r: Elizabeth Hoffmann, Dorothy Bull, Miss Faust, Florence Pearce, Ned Bauh, Edith Austin"
Group portrait of YWCA members in the Cannon Street gymnasium. 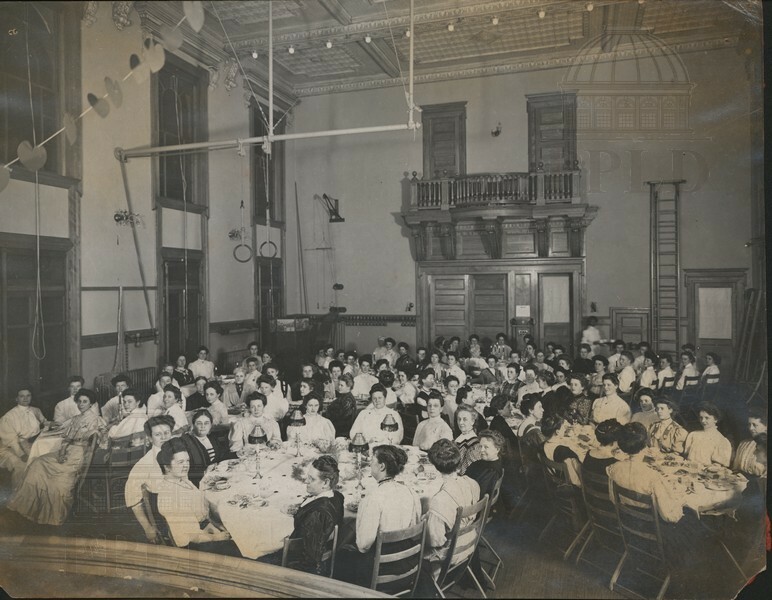 Snapshot of a banquet held in the Cannon Street YWCA gymnasium. 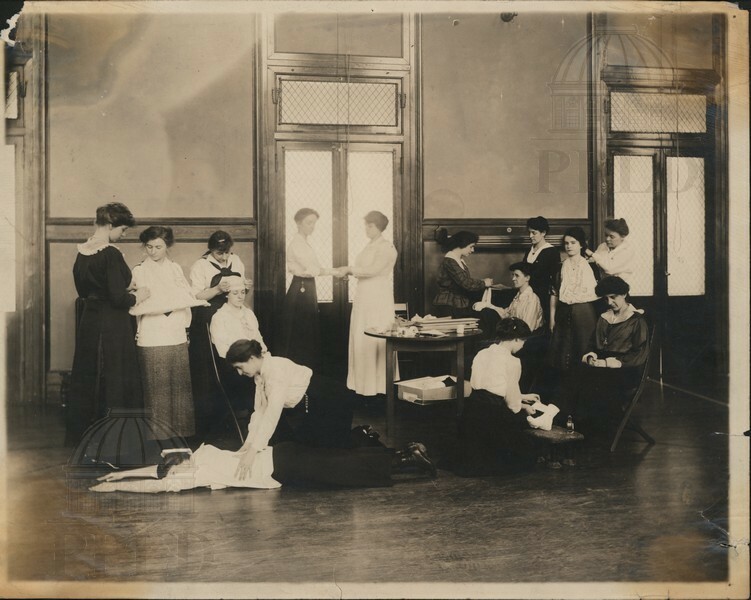 Group Portrait of the Cannon Street YWCA Faith Chapel bible class. 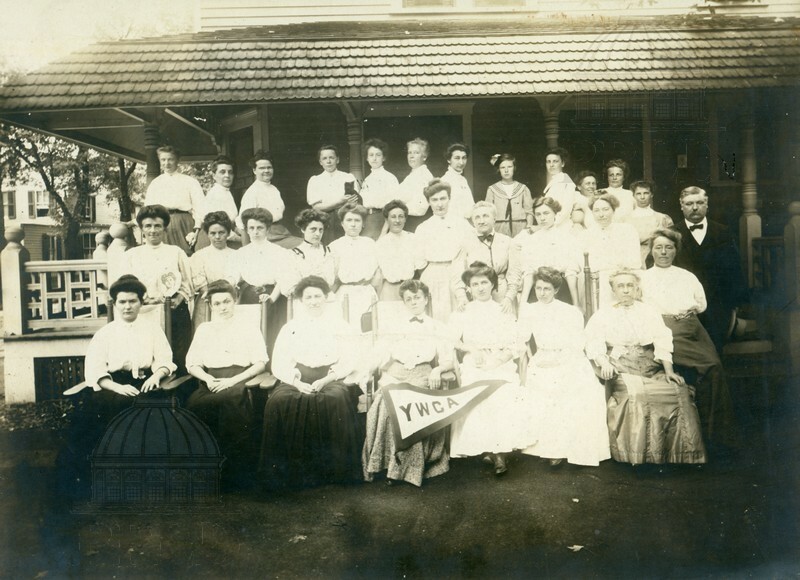 Group portrait of the local group at the YWCA Summer Cottage in Ocean Grove, NJ. 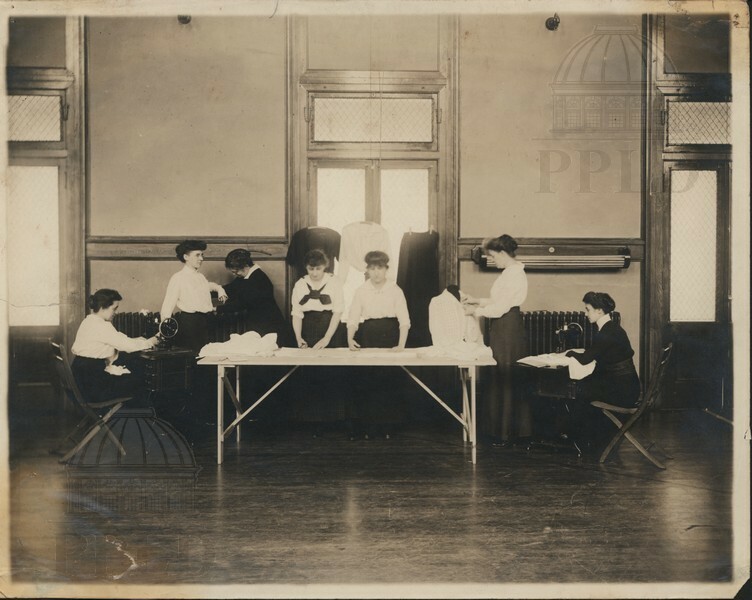 Group portrait of the Cannon Street YWCA dressmaking class; l. to r.: Ned Bauh, Florence Pearce, Anne Myers, Edith Van Wyck, Cornelia Du Four, Elizabeth Hoffmann, Marguerite Proal. Bowling class at the Cannon Street YWCA. 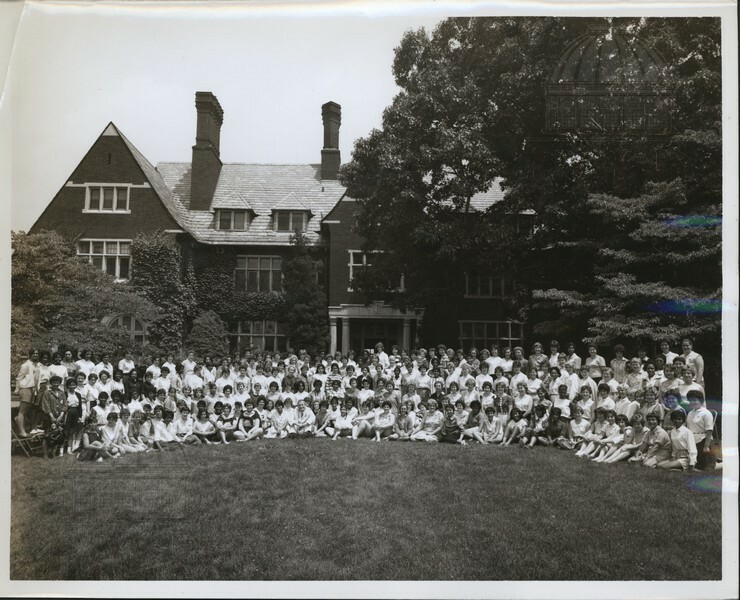 Group portrait of the attendees of the Greater New York Area representatives, taken on the Sarah Lawrence Campus. 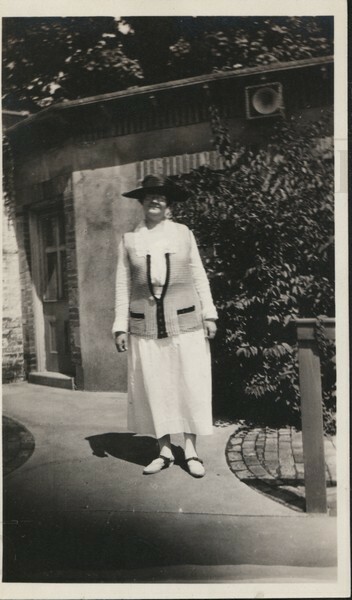 Portrait of a YWCA member outside of a house. 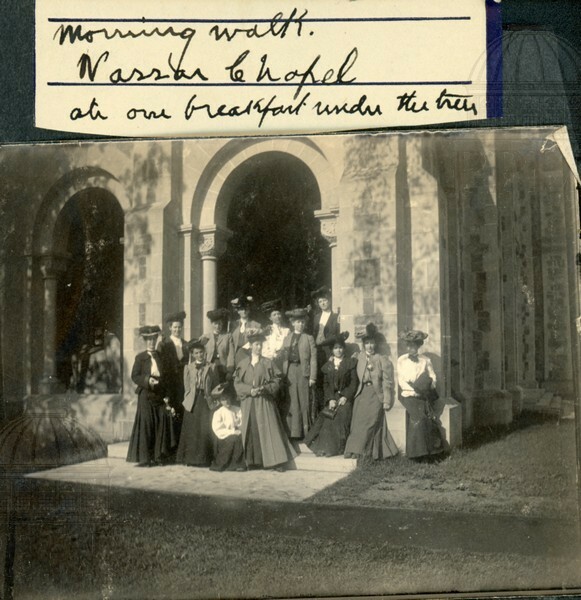 Group portrait of members going for a morning walk, outside of the Vassar College Chapel. 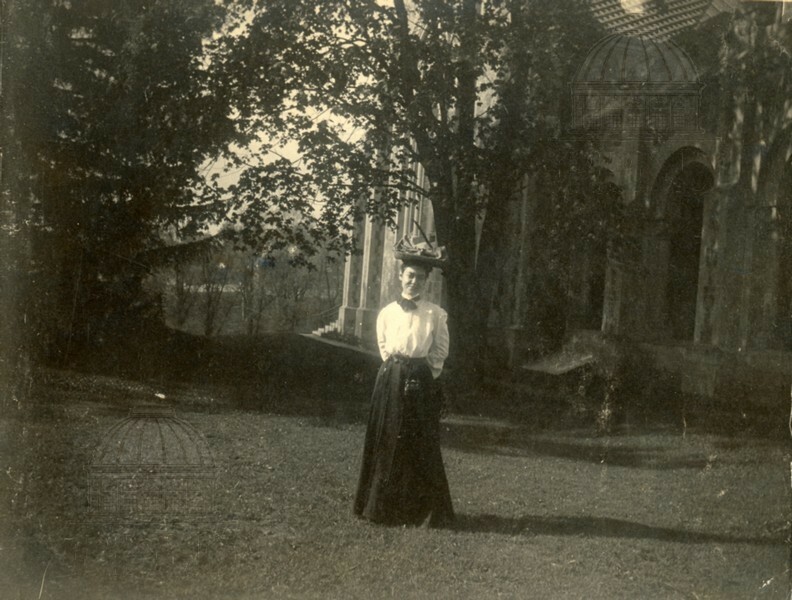 Caption reads: "Morning Walk, Vassar Chapel. Ate our breakfast under the trees." 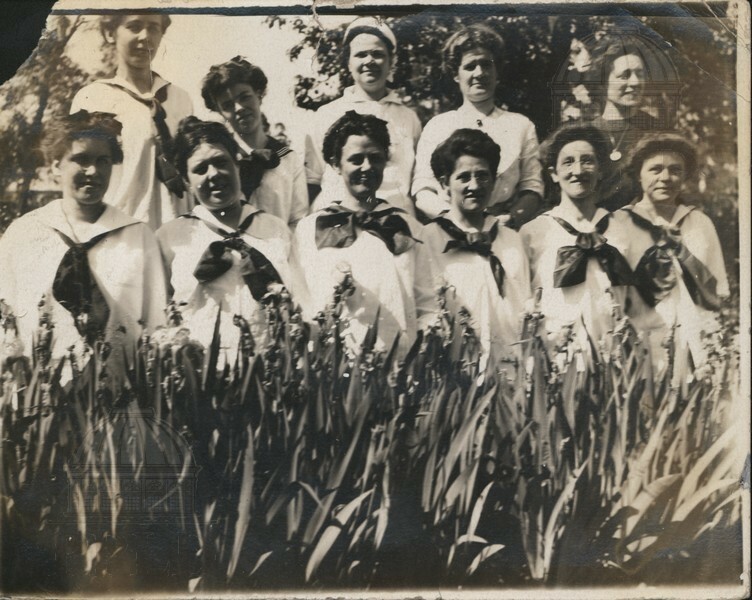 Group portrait of uniformed YWCA members behind a row of flowers. 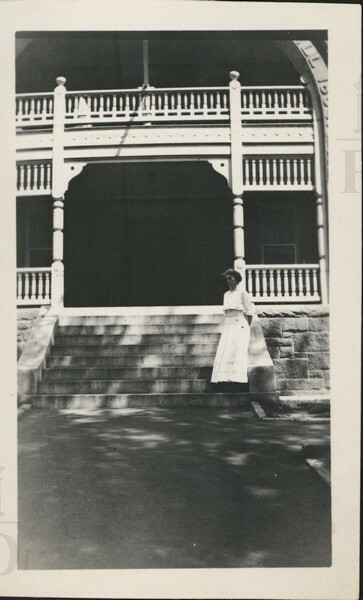 Snapshot of YWCA member on the steps of a house. 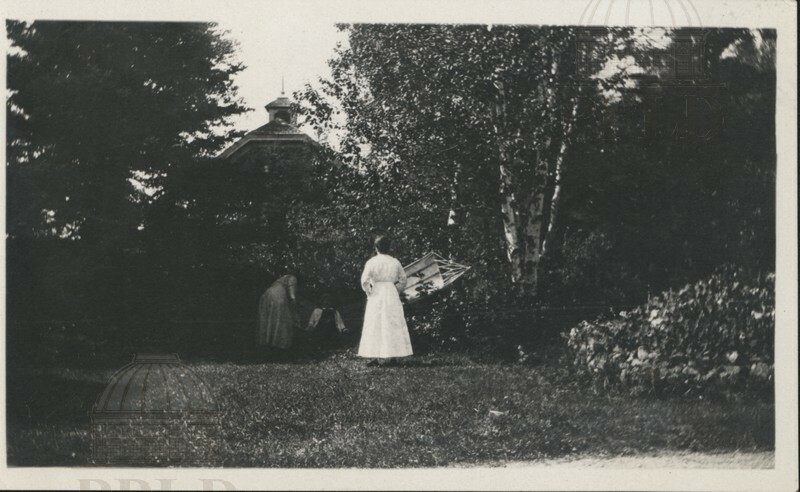 Snapshot of two women outdoors in a garden. 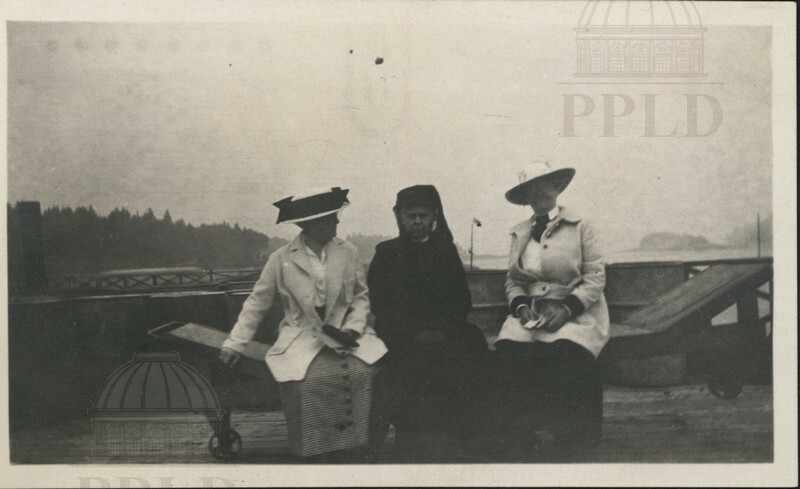 Snapshot of three YWCA leaders posed on a bench beside the river. 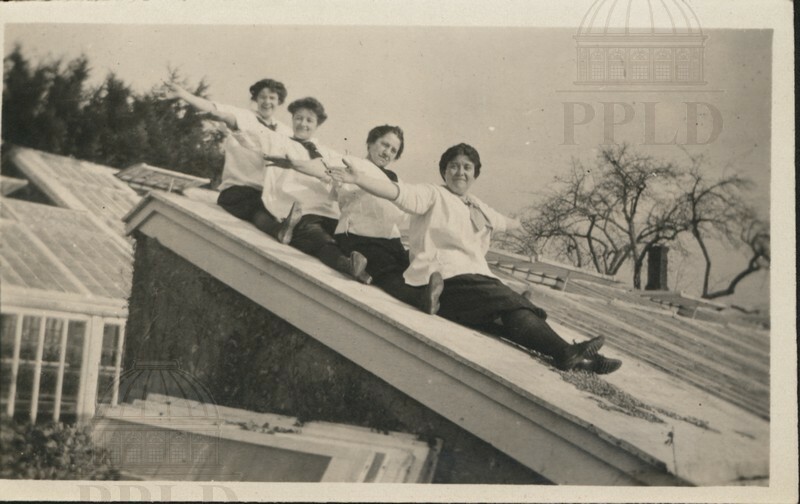 Snapshot of four YWCA members posed on a greenhouse roof. 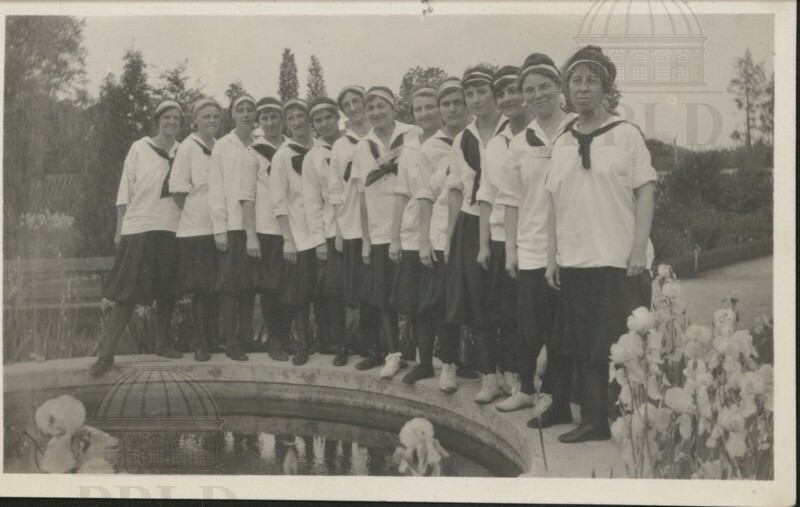 Group portrait of uniformed YWCA members standing on the edge of a fountain. 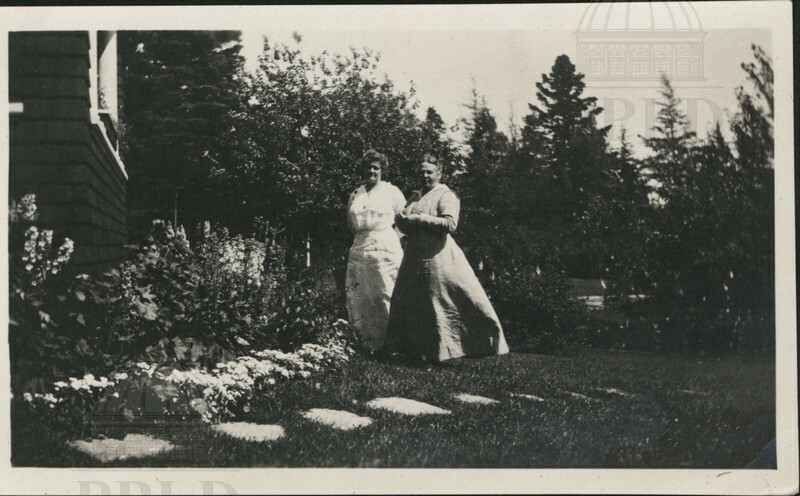 Snapshot of two YWCA leaders strolling in a garden. 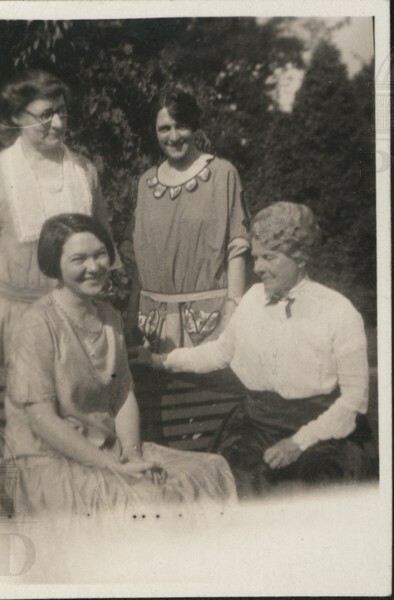 Portrait of four YWCA leaders in a park. 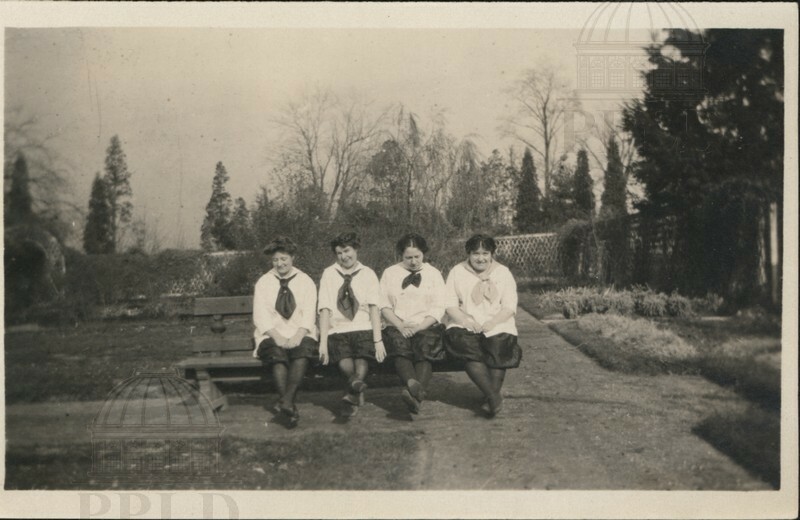 Portrait of four uniformed YWCA members seated on a park bench. 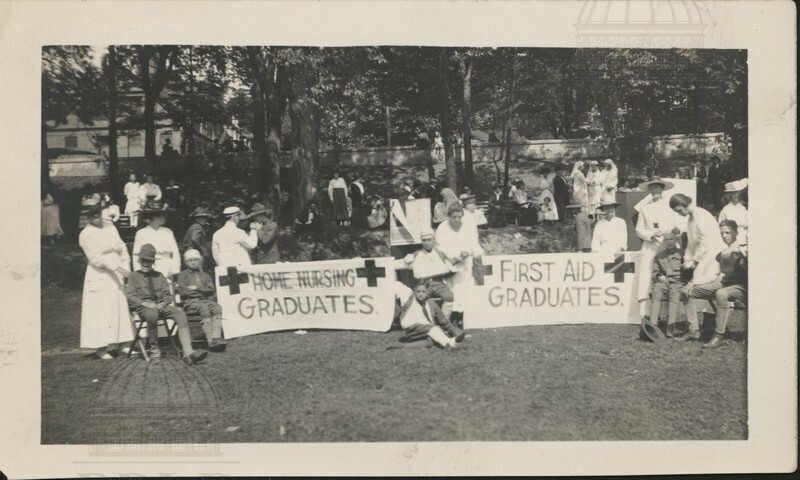 Snapshot of the Home Nursing & First Aid classes. 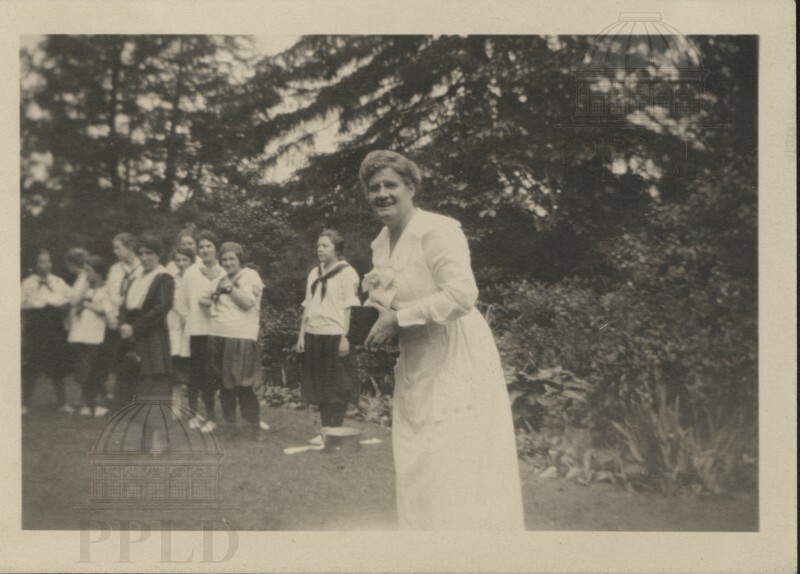 Snapshot of a YWCA leader, with members in the background outdoors. 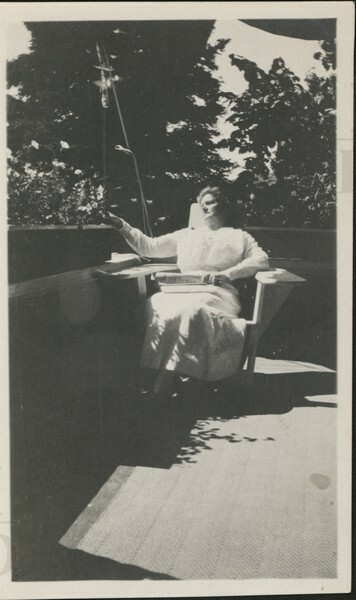 Snapshot of a YWCA member reclining on a porch.